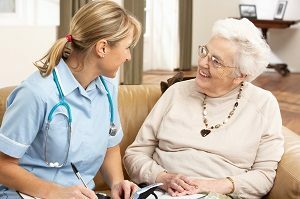 A new report has been published reviewing the effectiveness of the inspection regime implemented by the Care Quality Commission (CQC). Impact of the Care Quality Commission on Provider Performance – Room for Improvement? was published by the Kings Fund in September 2018. The report looks at the effect of the inspection approach that was introduced in 2013. The research covers the period from 2015 to 2018 and was conducted in acute hospitals, mental health services, general practices and social care services in six areas of England. It looks at the impacts of inspection before, during and after inspectors’ visits, and through interactions between regulators, providers and other key stakeholders. The research introduces a framework which outlines eight ways in which regulation can affect provider performance. Evidence of all eight were found, although some types of impact (e.g. anticipatory impact, where providers make changes in advance of an inspection) were more common than others (e.g. systemic impact, where the regulator effects change beyond individual providers). The King’s Fund states that its research highlights the importance for CQC of investing in recruitment and training of its staff, to create an inspection workforce with the credibility and skills necessary to foster improvement through close relationships, while maintaining consistency and objectivity. For service providers, it emphasises the need to encourage and support their staff to engage in open, improvement-focused discussions with inspection teams. The researchers also state that, as health and social care provision becomes more integrated, the current focus in individual providers will need to be replaced with regulatory approaches that cross organisational and sectoral boundaries. The King’s Fund acknowledge that, now that CQC has completed its first full cycle of inspecting and rating health and social care providers, it is implementing a new strategy for regulation that addresses some of the issues raised in the research. The research concludes that the relationship of inspection teams and providers is two-way and that the impact of CQC on quality is not only affected by how CQC interacts with providers but also by how providers interact with CQC. The providers likely to gain most, it states, are those that develop ‘strong ongoing relationships’ with CQC staff and seek to engage in improvement throughout the year, rather than episodically in response to regulation. ‘We welcome the findings of this report on the regulatory model we introduced in 2013, the recommendations it offers and the support it gives to the changes we have already made and are continuing to make in line with our strategy. ‘We are already placing greater emphasis on relationship management, the development of system-wide approaches to monitoring quality, and the introduction of CQC insight and intelligence driven assessment. The report can be downloaded from the King’s Fund website at https://bit.ly/2qk9FVU.